Motorcyclists in London are most at risk of having their bike stolen, with those living in the South West of the capital facing theft rates nearly five times the UK average. A theft survey conducted by motorcycle insurance company Carole Nash follows a warning from the Motorcycle Crime Reduction Group that bike thefts rates are rising and now cost an estimated £105m annually. It also follows reports that the Metropolitan Police’s Stolen Vehicle Unit, one of the last remaining in Britain, is set to be disbanded following budget cuts. The survey examines the nation’s hotspots by comparing the number of theft claims the bike insurance company received against the number of bikers it insures in each area of the country. The results show London boroughs occupying nine of the top ten worst hit areas. South West London suffers a theft rate over 30 times higher than low risk areas such as Shrewsbury or Bath. The highest bike theft rates outside of the capital were found in Huddersfield, Edinburgh, Halifax, Dundee and Manchester. The Carole Nash research follows similar findings by the Motorcycle Crime Reduction Group that reported 50 per cent of all bike thefts occurred in London. The survey found that scooters and mopeds suffer the highest crime rates, being almost twice as likely to be stolen as tourers which are least at risk of being pilfered. Spend as much as you can afford on insurance approved security devices like ground anchors, tagging systems and immobilisers. Garage it. 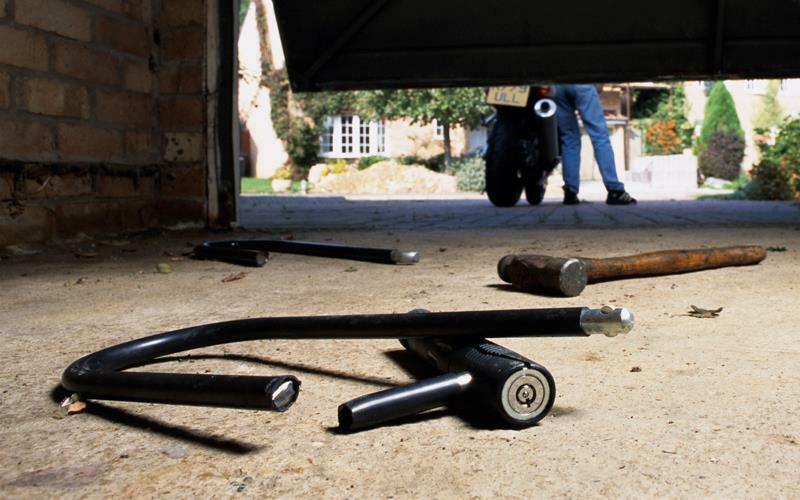 If you can, try to keep your bike out of sight in a locked garage. If you must leave it on a driveway fit a ground anchor and use a cover. Be careful where you park. Choose a well-lit, highly visible public area, preferably covered by CCTV. Lock it to an immobile object. Organised thieves often simply lift bikes off the pavement and spirit them away in the back of a van or break the steering lock and roll them away. Don’t make it easy for them – secure your bike to an immobile object using a hefty lock. Whenever possible keep locks and chains off the floor – this will prevent thieves from smashing them on tarmac or concrete with a lump hammer. If you are out in a group, lock your bikes together.